Helena and Southwest Montana have a variety of water conditions, depending upon where you live or work and the time of year. 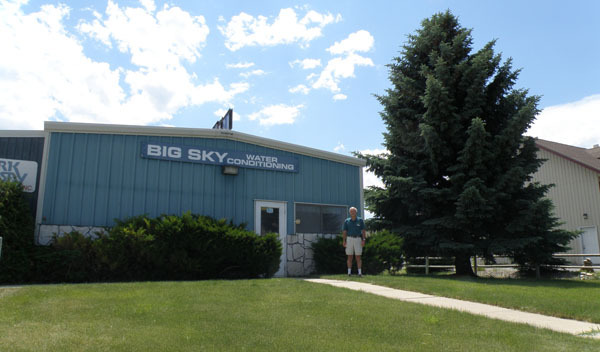 Big Sky Water Conditioning has been solely dedicated to the water quality of the Helena Valley and southwest Montana since 1965. We’ve seen it all, and when the going gets tough, other providers often refer their clients to us. When you come to us, we bring that experience to bear. We examine your site, physical facilities and, of course, test your water. For simple home tests, we can give you results on the spot. For more complicated problems, we have great relationships with testing labs and can fully analyze your problem in a day or two. Then we provide specific options for your situation. Helena has hard water, and it varies in hardness by location and time of year. In the winter and spring, Helena is fed primarily by Ten Mile Creek. This is runoff water that is around 6 GPG. In the summer and fall, it is supplemented by Missouri River water at around 15 GPG. And that can be supplemented by well water that runs from 15-25 GPG. The water received at any site varies by its location in the city and what source is feeding that location at the time. Well water is subject to a variety of different influences, including from septic tanks. The latter can cause an infusion of nitrates, and mineral concentrations vary greatly by location and well depth. Uranium, Iron, Nitrates, Arsenic, etc. While any of these contaminants can be found anywhere, nitrates are common in the Helena Valley. Iron is often found in the valley, Birdseye, McDonald Pass, Clancy and Fox Ridge. Uranium can be found in Clancy, Lump Gulch, Montana City, and points further south. Arsenic is frequently found in Birdseye and Montana City water. These minerals require special approaches to treat properly, and they occur naturally. They are rarely mine-related.